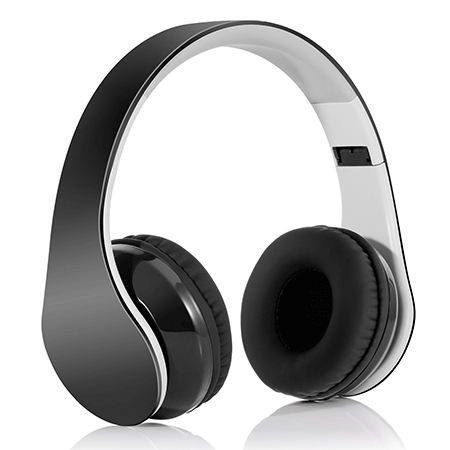 Wireless headphones come in a wide variety of styles, prices and features, such as on-ear, over-ear and in-ear styles. While in-ear headphones are often preferable for convenience and portability, they rarely generate the kind of dynamic sound that on-ear or over-ear headphones do. While over-ear headphones are the largest of the three, they are often preferable for people who wear headphones for long periods of time, since they tend to be the most comfortable. The padded cup causes the headphones to rest against the head rather than creating pressure on the ears, which can grow uncomfortable over time. 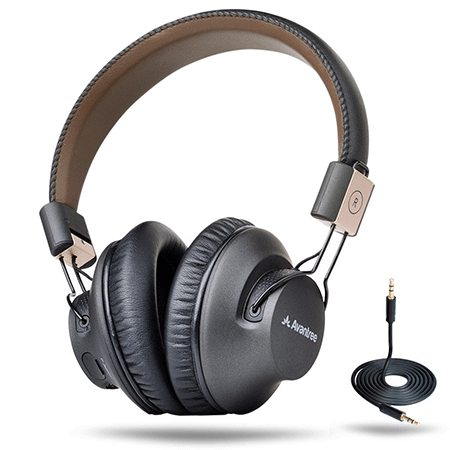 If you want a good, basic pair of over-ear headphones without breaking the bank, the Ausdom 4.0 lightweight headphones fill the bill. Ergonomically designed and featuring soft artificial protein leather earmuffs, these headphones will offer hours and hours of comfortable use. They also offer a connection via bluetooth or a 3.5 mm jack, which you can use if they aren’t charged. If you don’t have your charger with you, they can also be charged via a USB cable. One charge offers about 20 hours of playing time and approximately 250 hours of standby time. They also offer controls and a microphone for media and hands-free phone calls. If you want something inexpensive but just a bit more stylish, these FX-Victoria Over Ear Bluetooth Headphones fill the bill. 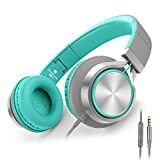 Available in 12 different color combinations, including a pair that has a bank of flashing LED lights in the side, these headphones are a stylish as they are comfortable. A foldable design makes them easy to fold, store and carry and they also offer either bluetooth or cable connections when they aren’t charged. A built-in mic allows you to take phone calls and controls are compatible with iPods, iPhones, iPads, Samsung/Android/Blackberry Smartphones, Tablets, PC’s and Laptops. 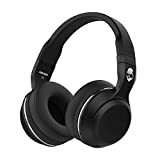 Moving up a touch in features, these AudioMX Over-Ear Wireless TV Headphones offer wireless transmission and interference-free reception with a range of up to 100 ft (30m) even through walls. The wireless transmitter station is also a convenient charging dock, which charges the two supplied rechargeable batteries. 6 hours of charging gives you 12 hours of uninterrupted use. 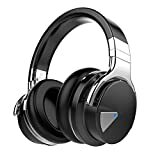 Another great pair of headphones for watching TV or listening to music at home, these headphones also offer a reception range of up to 100 feet, rechargeable batteries and a recharging base. The rechargeable NI-MH batteries that will give you up to 20 hours of use on a single charge, however. These headphones also offer a wide ray of smart features, including volume memory presets, an On/Off LED indicator, muting, a rapid charge feature and a low power indicator alert. Going back to the more portable options, these over-ear headphones offer industry leading Bluetooth 4.1, which offers faster transmission speed, lower latency and better audio output. Soft protein leather pads offer a comfortable fit, while a folding headband offers portability and convenience. The rechargeable battery offers up to 8 hours of listening at full volume and 15 hours at half volume. They also offer a 3.5mm jack for use with a cable. 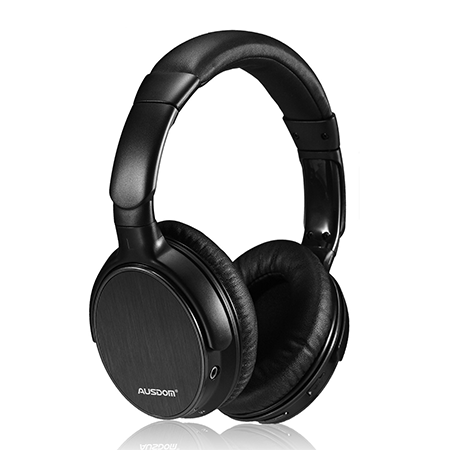 The Ausdom wireless headphones are the crossroads between large, bulky headphones designed specifically for TV watching or home use and small, portable design for compact transportability. A built in mic allows you to use it with a cell phone, while Bluetooth V4.0+EDR technology allows you to quickly pair with all of your other devices. Capable of connecting via Bluetooth or a 3.5 mm jack. The esonstyle features Bluetooth V3.0 + EDR Technology with a transmission Distance Up To 10M. 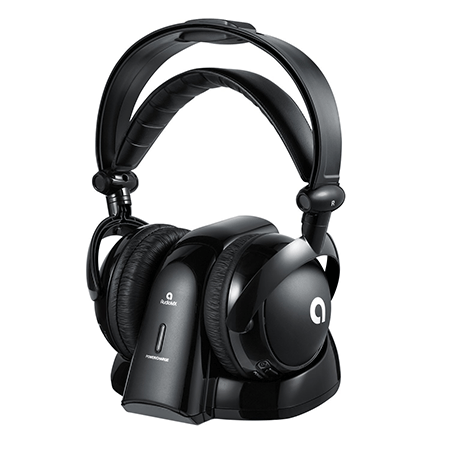 A built in mic and controls on the ear pads allow you to use them with either a cell phone or other devices. Like many of the other headphones they can either be connected via Bluetooth or 3.5 mm jack. They also come in 6 different color combinations to suit your personal mood and style. If you are looking for the crossroads of great design and loads of features, then these might be the headphones for you. The HiFi Elite Super 66’s offer advanced noise isolation technology and distortion free audio. 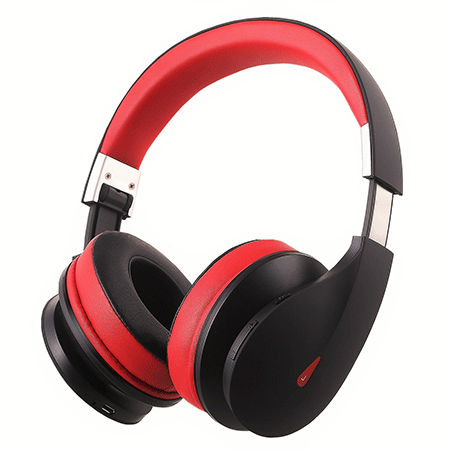 They also feature a micro-USB charging cable and high end audio cable for wired listening. With thick, heavily cushioned ear pads and a brushed-metal band that folds for easier storage, they offer the best of both worlds between supreme comfort and compact size. 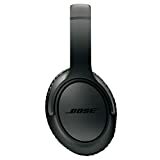 Oversized buttons on the side of the headphones offer control over music and a built-in mic enables hands free calling. Bose is one of the most respected names in audio. These Bose SoundTrue headphones offer a slim profile, a softly padded headband and memory-foam ear cushions, for hours and hours of comfort. 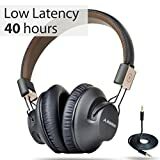 These headphones do not quite fit on this list, however, as they are not actually wireless/ bluetooth compatible, but the single cable does detach for easy storage with less tangling. 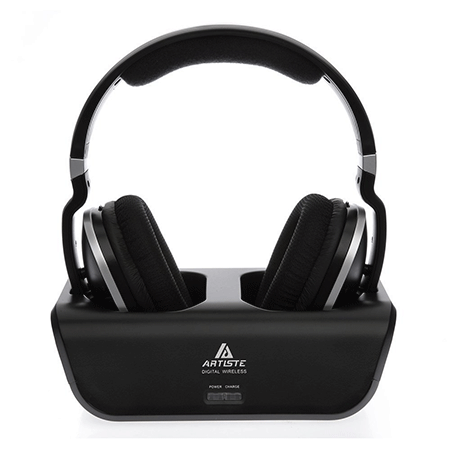 A carrying case and fold-flat ear cups make them portable and easy to take anywhere. An inline mic/remote is compatible with iPod, iPhone and iPad models. 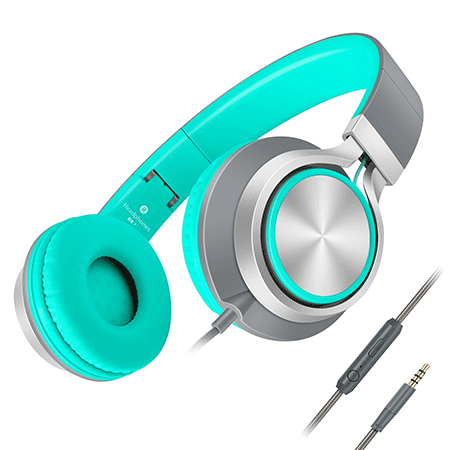 The Ailihen C8 headphones come in 6 stylish colors with silver accents. An adjustable headband makes for a comfortable fit for men, women, teens, kids and adults. A tangle free nylon braided cable makes for ease of use and is compatible with all devices featuring standard 3.5mm jack. A built in mic allows you to use them for hands free calling. 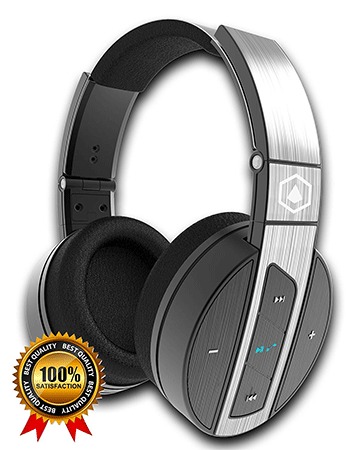 Perfect for watching TV or gaming, these advanced technology headphones offer no audio delay and a long life batter that offers up to 40 hours of music time with a clear voice-prompt status indicator. An included 3.5mm cable allows you to switch from Bluetooth to corded listening in seconds. They also offer the ability to connect to two phones simultaneously, so you never miss a call no matter who is using them. 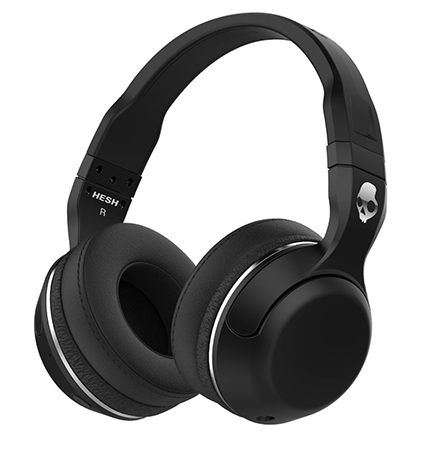 The Hesh 2 is a sleek, sophisticated headphone offering superior sound. A long lasting battery gives you up to 12 hours of listening after a full charge. A backup cable with mic gives you remote functionality and the ability to play on in spite of dead batteries. 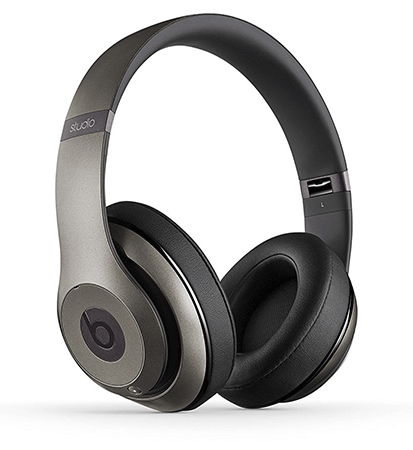 Beats is one of the most respected names in headphones. Originally pioneered by Dr. Dre and eventually purchased by Apple, Beats offer stellar sound quality with an emphasis on dynamic bass. 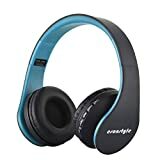 Cable of pairing with your Bluetooth device from up to 30 feet away, they offer dual-mode adaptive noise cancelling and 12 hours of listening time. A built-in mic allows you to take calls hands free and a 3.5mm audio cable also offers RemoteTalk. Comes with a hard-shell carrying case with carabineer clip. 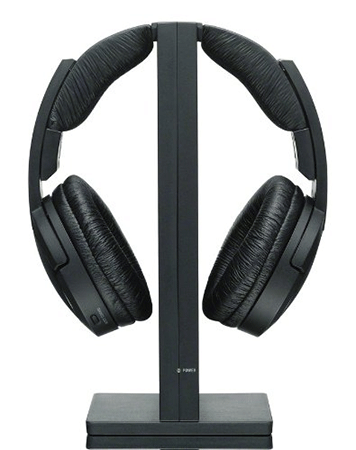 Right up there with Beats and Bose, Sony is also one of the top names in audio. And easy-adjust headband offers superior performance and maximum comfort. An advanced noise reduction system creates minimal transmission noice and automatic tuning ensures optimum signal reception. Comes with a charging station. When you combine stellar technology, stylish design, comfort, portability and an amazing 30 hours of playtime in Bluetooth mode you get the Cowin E-7 Active Noise Cancelling Wireless Bluetooth Over-ear Stereo Headphones. Proprietary 40mm large-aperture drivers offer exceptional clarity combined with with deep, accurate bass response. 90° swiveling earcups and professional protein earpads offer maximum comfort while an on-board mic/ pulse remote allows you to take calls, adjust the volume and switch playlists. The included 3.5mm cable needs you don’t need to worry about dead batteries.